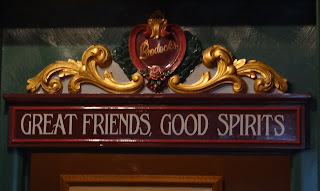 Although it was staffed by nice people, this bar in Oscar's Restaurant seemed boring and formulaic when we visited, with the vibe of an Applebees. 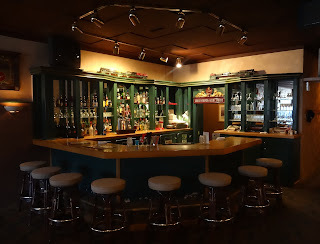 But I've seen a few Oscar's reviewers who complained about all the noise coming from the bar, so we clearly did not come at a good time to judge. Grangeville, Idaho is the largest town in Idaho County, at the base of the state's pan handle. It arose in a large meadow at the edge of the Nez Perce National Forest -- traversed by gold prospectors whose fortune seeking was not to be slowed by the treaty granting the Nez Perce control of the area. It was incorporated in 1889 and now has a population of around 3,000 people. 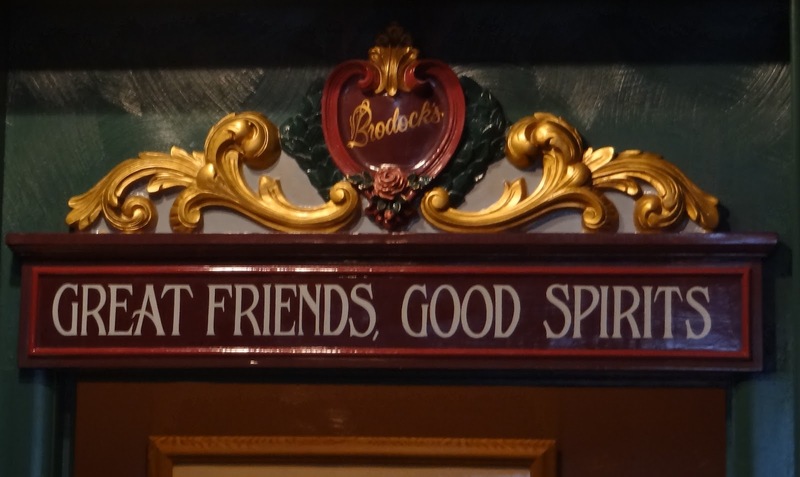 Brodock's is the most genteel of the handful of bars in town.